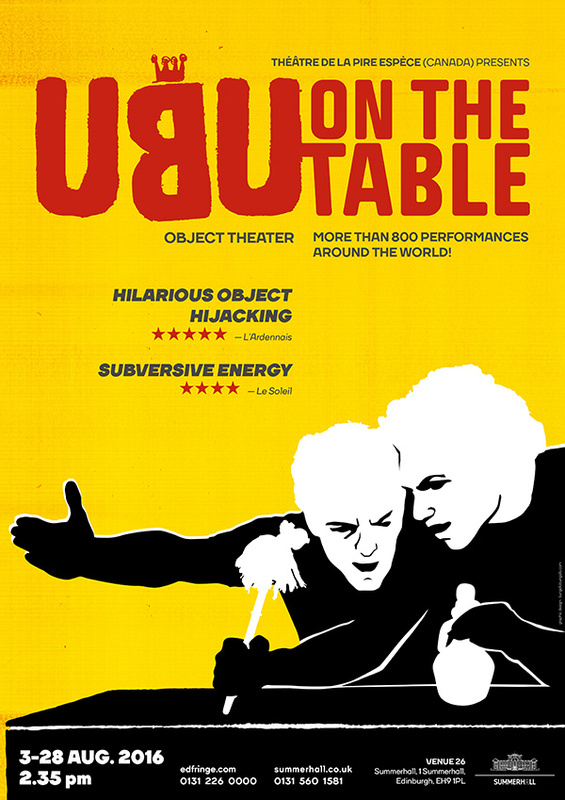 This award-wining adaptation of King Ubu has garnered much praise – the objects’ raw form and the performance’s frenetic pace are perfectly suited for Jarry’s cruel farce. 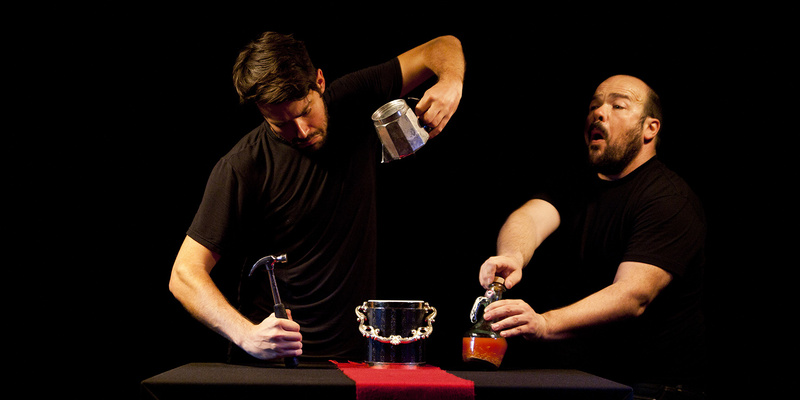 Since its creation, Ubu has been performed over 850 times in Québec, Mexico, Brazil and Europe! Two armies of French baguettes face each other in a stand-off as tomato bombs explode, an egg beater hovers over fleeing troops and molasses-blood splatters on fork-soldiers as they charge Père Ubu. Anything goes as Poland’s fate is sealed on a tabletop! 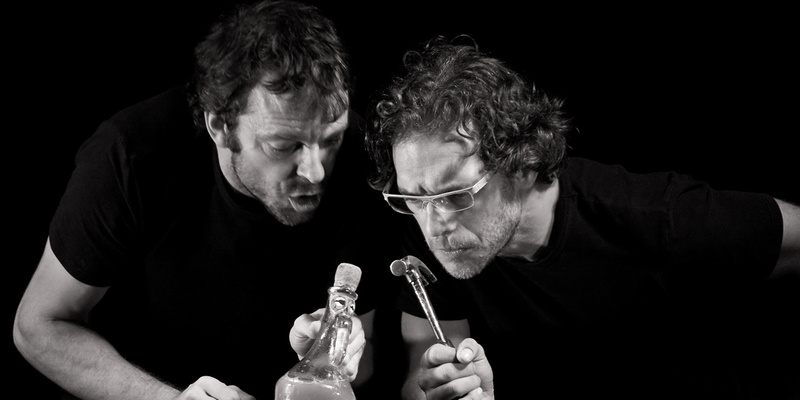 Multiple film references spice things up as two performers hammer-out a small-scale fresco of grandiose buffoonery. Ubu is undeniably comfortable surrounded by kitchen utensils that double as gorging tools and weapons to annihilate the “sagouins”. The banality of the objects dramatically underscores the grotesque nature of the characters: Captain Bordure, embodied by a standard hammer, is forever stuck in his rigid stance, forced to repeat the same ridiculous expressions over and over. 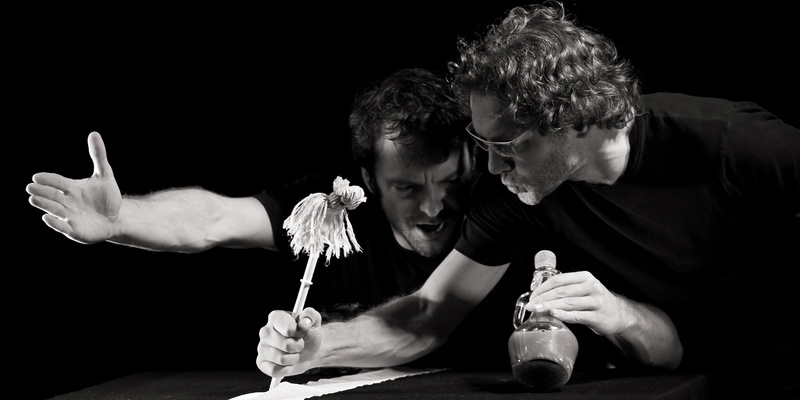 The Object’s expressive limits force the creators to focus on the dramatic action rather than on the psychological development of the characters. 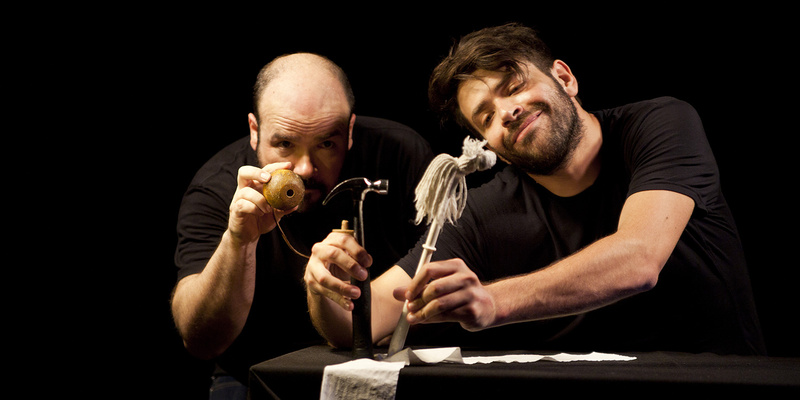 The actor-puppeteers (in full view) appeal to the audience’s intelligence and imagination by conveying a second degree to the storyline.